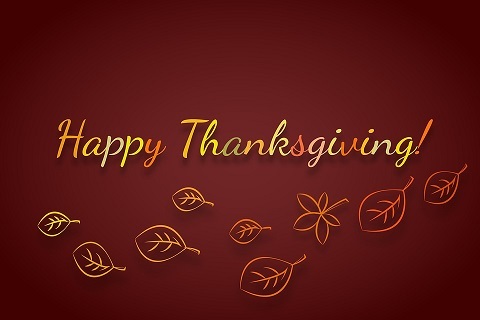 Thanksgiving is a time for thinking back at all you have experienced throughout the year and showing your appreciation for all that you have and all of those in your life. Life seems to go by so quickly these days and the important things are pushed to the side again and again. It is important to take this day to be thankful. Oprah Winfrey said, “Be thankful for what you have; you’ll end up having more. If you concentrate on what you don’t have you will never have enough.” This quote is so true. I think this would be great to add inside your Thanksgiving cards to remind everyone of the meaning of the holiday. Enjoy what you have and accept what you don’t. “Gratitude is the inward feeling of kindness received. Thankfulness is the natural impulse to express that feeling. Thanksgiving is following that impulse,” said Henry Van Dyke. So many of us get caught up in the menu for the day. Adding this to your card may be the encouragement your recipients need to remember what is really being celebrated. Amy Grant once said, “Thanksgiving Day is a good day to recommit our energies to giving thanks and just giving.” This is one of my favorite quotes to write in my Thanksgiving card. It is important to be thankful for all that we have on this day and every day, but this day should also serve as a reminder to give what we can to help others. I love Oprah’s quote the best! We should be thankful for what we have. Previous post: 12th Annual Create a Greeting Card Scholarship Contest – Round 4 Finalists Announced!